The Alco PA series has often been regarded as the most beautiful and aesthetically pleasing diesel ever built, even going so far as being designated an honorary steam locomotive! There is no doubt that when one combs the library of diesel designs over the years the PA at the very least ranks as one of the best ever purely on its aesthetics. 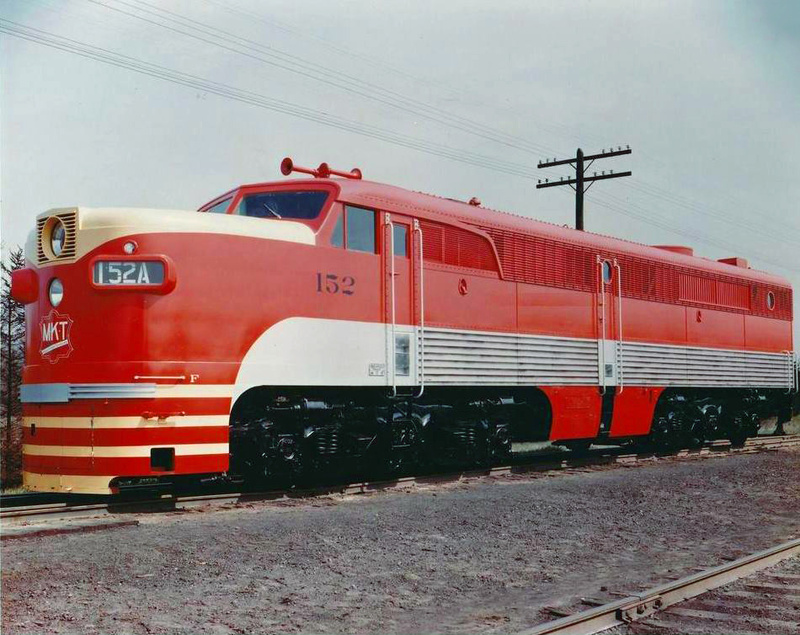 The model was designed for passenger service and meant to compete with the Electro-Motive's highly successful E series that had debuted some years earlier. Unfortunately, the PA never sold well for Alco as the original prime mover the builder employed was simply unreliable and problematic. Initial sales proved promising but after these issues cropped up most shied away from later variants. Today, Doyle McCormack has successful fully restored former Santa Fe PA-1 #62-L into Nickel Plate Road #190. Additionally, the shell of another former AT&SF PA is being cosmetically restored. 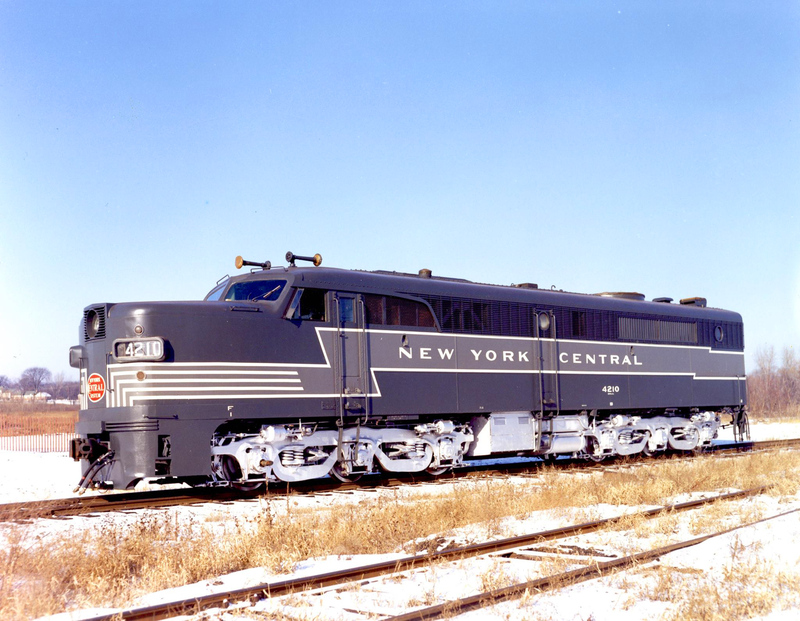 The original Alco PA (the P stood for Passenger and A referred to the unit having a cab) was built right after World War II in 1946 and was rated at 2,000 horsepower (later upgraded models were carried 2,250 horsepower). The model was also cataloged with cabless streamlined units known as PBs (or just "Bs" as most referred to them), which matched the PAs and increased the horsepower rating. 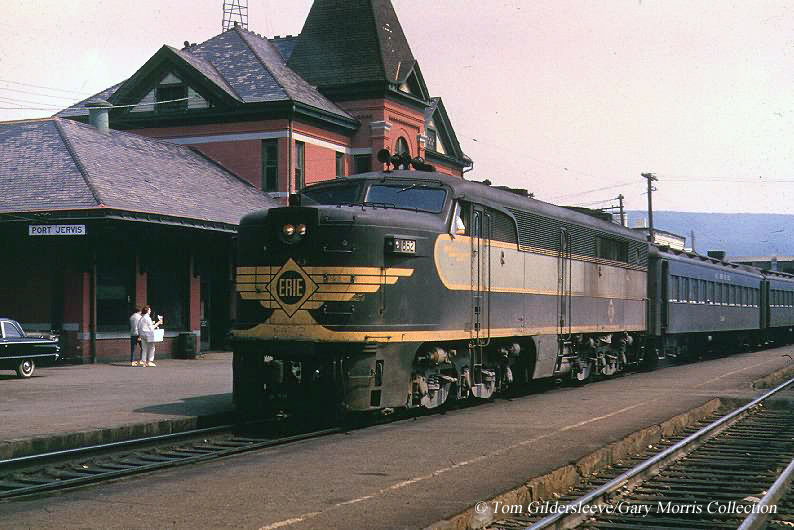 When the PA was released Alco was already in catchup mode racing to release a competing model to EMD's revolutionary E series that had originally debuted before World War II in 1937 beginning with the EA (Baltimore & Ohio, E1 (Santa Fe), and E2 (Union Pacific). For technical information related to Alco's PA line please click here. Wartime restrictions prevented Alco from any significant work during the war but worked feverishly to catch up after the conflict had ended. This, unfortunately, hurt the builder immensely staying level with Electro-Motive. Working in conjunction with General Electric on the model, the company used GE's Ray Patten to give the locomotive a fine exterior appearance (Patten also designed the PA's freight counterpart, the FA) and he unveiled an incredibly stunning carbody. However, Alco rushed the development of its new model 244 prime mover giving its engineers just a year after the war ended to work out any issues with engine. 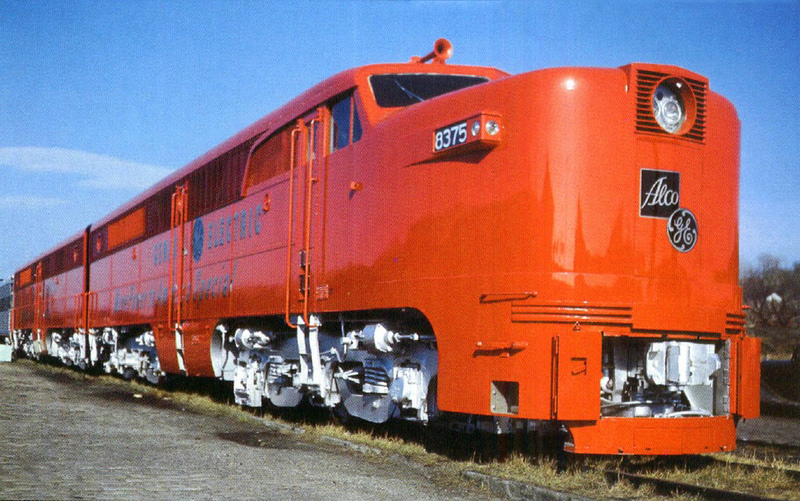 Initially, the problems of the 244 were masked by Alco's then-excellent reputation as a locomotive builder. The company had also used the 244, quite successfully, in the production of small switcher and road-switcher designs although the prime mover simply wasn't ready for heavy, main line applications. In June of1946 the PA began testing on the Lehigh Valley clad in a beautiful demonstrator livery of maroon with silver trim with the combined GE/Alco livery adorned on the nose and carbody (the units were numbered 9077 and 9078). 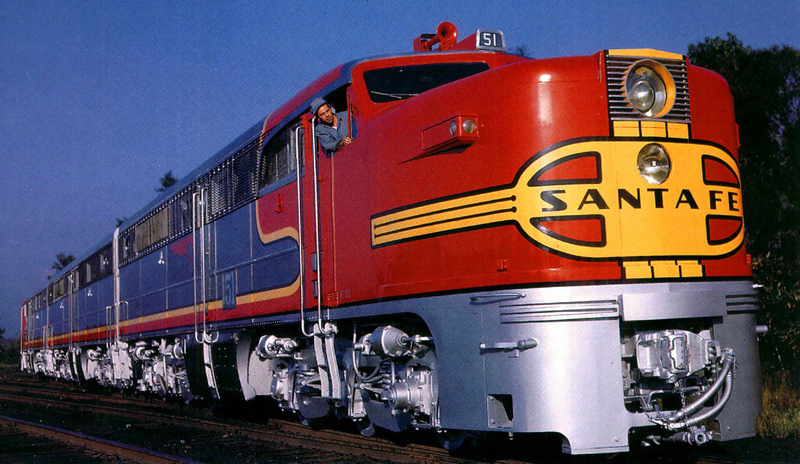 The Santa Fe was immediately pleased with the new model and ordered twenty-eight PA-1s and sixteen PB-1s between September of 1946 and December of1948. 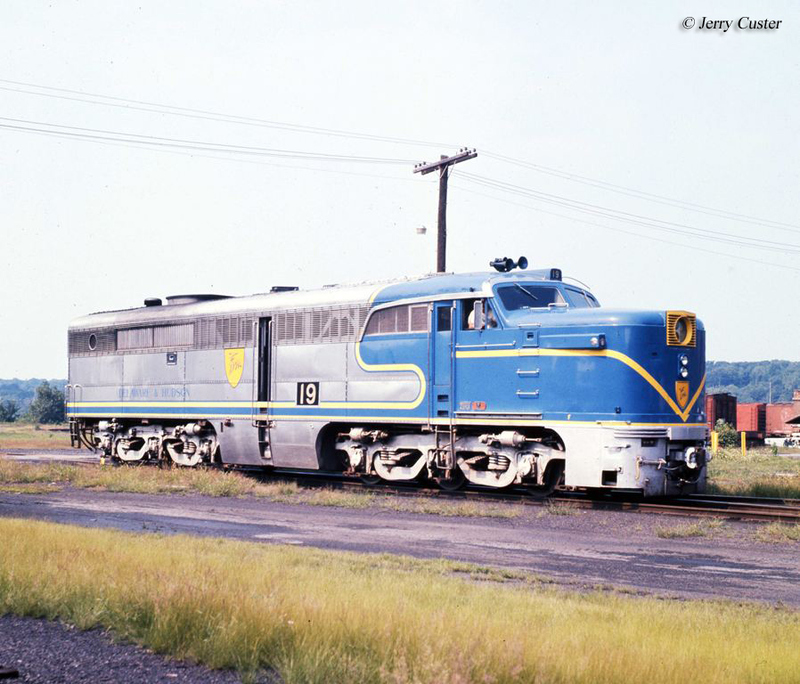 Other railroads soon followed and Alco would eventually sell 170 total PA-1s and PB-1s. The Alco PA-1 could produce 2,000 horsepower and provide 30,500 pound of continuous tractive effort using an A1A-A1A truck design (two outside powered axles with an unpowered center axle). 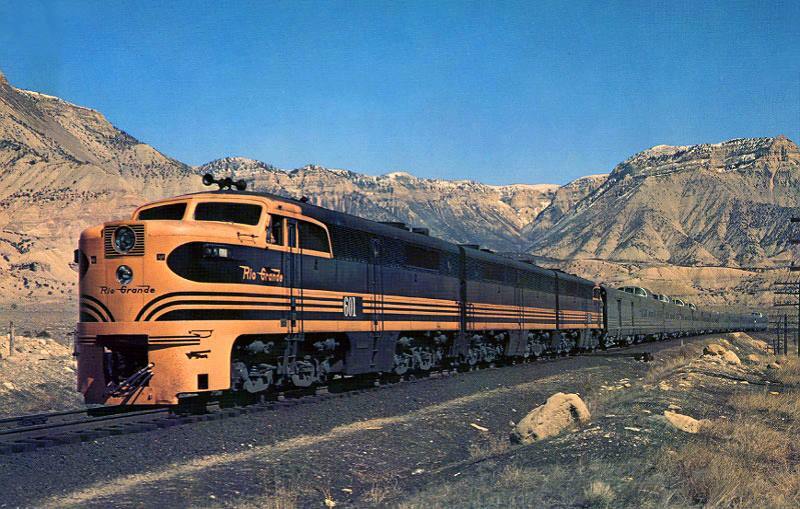 The locomotive was 65 feet, 8 inches long and its most stunning feature was its sweeping, streamlined nose and raked front windshields (the PA was nearly 10 feet longer than its FA counterpart). As problems mounted with the PA-1 Alco rushed to correct the problem building an entirely new prime mover in the process, the model 251. This new engine proved much more reliable but was not available in time for the PA series. After witnessing initial sales of 170 units with its first PA-1 design the later PA-2 and PA-3 upgraded models sold a combined total of 77 units by the time production had officially ended in December of 1953. 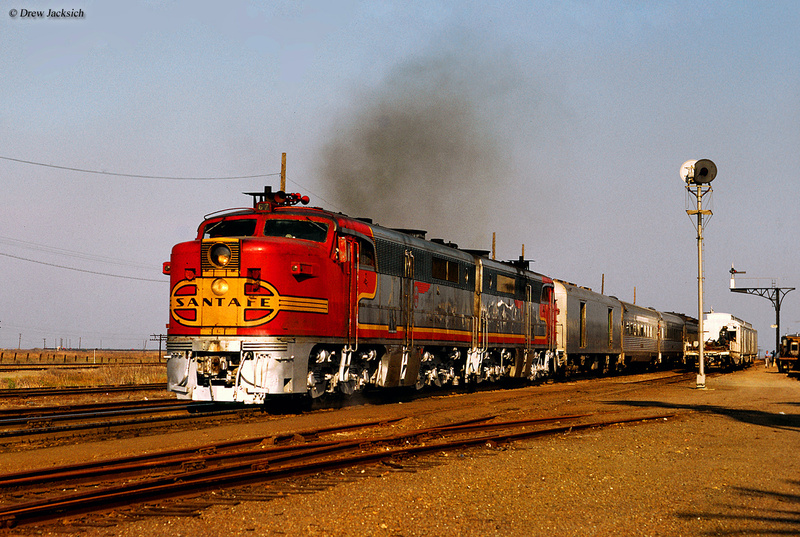 These numbers were a mere fraction when compared to EMD's E and F series, which together sold thousands by the time the models were no longer cataloged in the 1950s and early 1960s. While Alco’s PA was unpopular with most railroads it gained instant celebrity status with the railfan community. A big reason for the model’s popularity, besides its good looks was the fact that it went extinct. After the last PA ended its career with the Delaware & Hudson (whose PAs were originally owned by the Santa Fe) in 1978 and left for Mexico none remained on U.S. soil for nearly 25 years until two PAs made their way back in 2002; one was acquired by the Smithsonian for restoration and the other went to renowned locomotive restorer Doyle McCormack which is nearing fully operational (it was started up for the first time during October of 2013) into Nickel Plate Road #190 adorned in the NKP's "Bluebird" passenger livery. The restoration of NKP #190 (originally AT&SF #62-L) is a near miracle; it took several years just to negotiate the locomotives’ return to the United States and by that point nothing was left but the carbody shell. While #190 does not have all original PA equipment since much of it no longer exists, many parts are of Alco origin. The Smithsonian's Alco PA, former AT&SF #59-L, has since been donated to the Museum of the American Railroad in Texas. The goal now of the museum is to fully, cosmetically restore the locomotive (currently only an empty shell as well) back into its original AT&SF "Warbonnet" livery as #59-L. Later restoration efforts may also completely return the locomotive to operational status. Like a lot of folks, I have always had a soft spot for Alcos, especially their PA so it will be great to see #190 and #59-L roll out of the shop for the final time either fully or cosmetically restored. In any event, more information about the PA series can be found above regarding which railroads purchased the model. Finally, while not listed there was also the Alco PA-4 model. This was simply a rebuild (by Morrison-Knudsen) of four former AT&SF PA-1s, all of which went to the Delaware & Hudson in the 1970s. They were renumbered 16-18 and retrofitted with Alco's much more reliable model 251 prime mover. They paraded around the D&H system for years before being sold to a Mexican railway and are the two that returned to the States in the early 2000s.